I love Stefan Bucher's Daily Monster. He uses canned compressed air on a drop of paint to create a feathered effect. 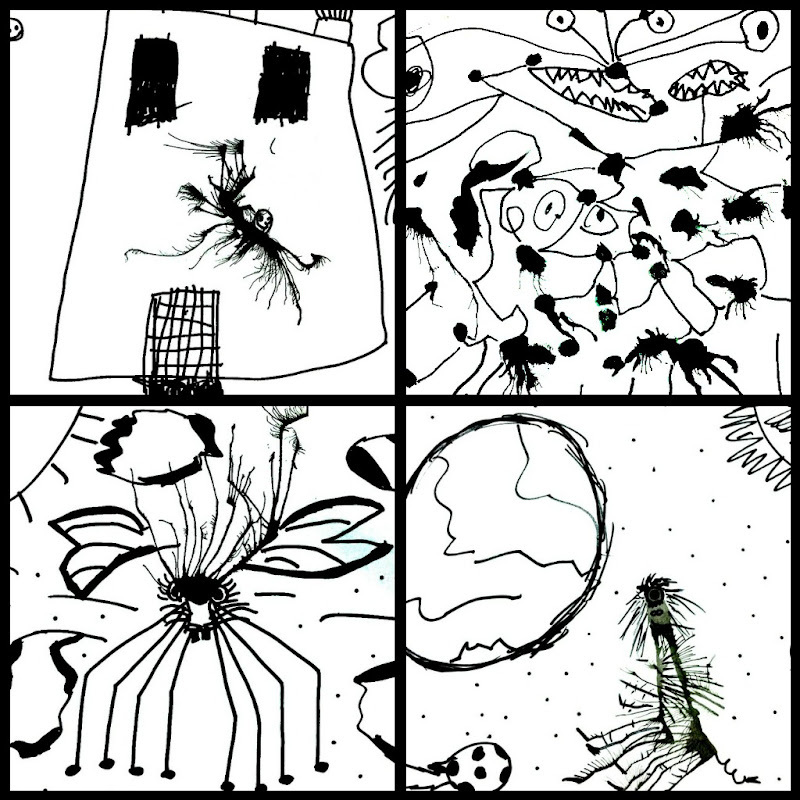 From there, he adds details with pen to create monsters oozing with personality. We gave it a whirl in art class, and the students LOVED it. It's hard to go wrong with canned air, it's so cold/loud/exciting. They had fun creating art in an outside-the-box-sky's-the-limit-just-have-fun-can't-make-a-mistake style.